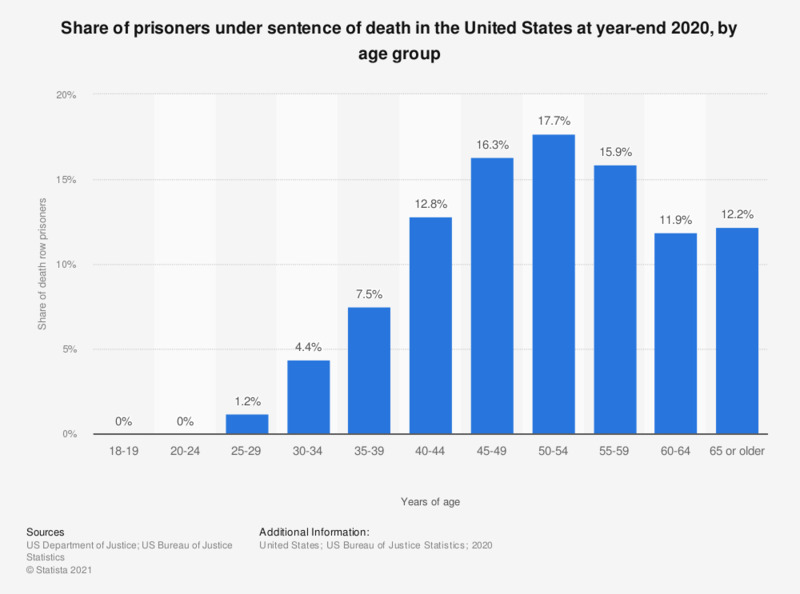 This statistic shows the share of prisoners under sentence of death in the United States in 2016, by age group. In 2016, around 15.7 percent of prisoners on death row were between 40 and 44 years of age. The data includes all inmates on death row up to December 31st, 2016. * Value was less than 0.05%. Do you think that the death penalty often is imposed in the right amount or too little?